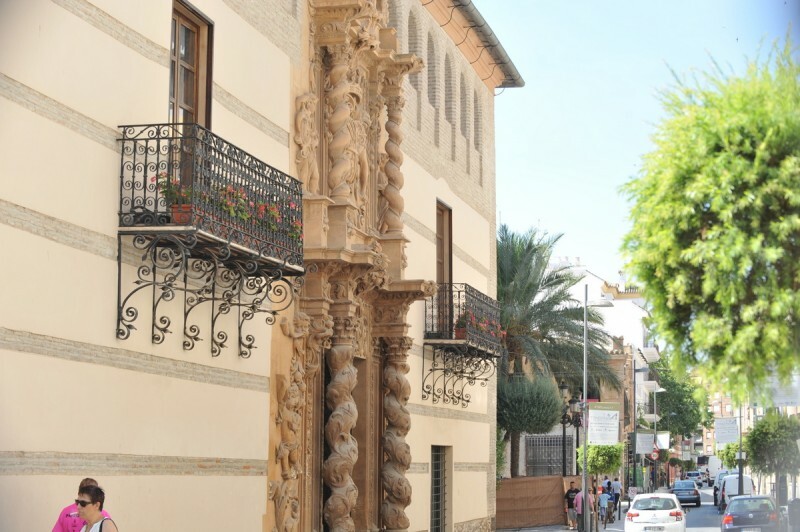 The Palacio de Guevara, sometimes known as the Casa de las Columnas, is the most representative baroque building in the historic city centre of Lorca, and was officially recognized as an Item of Cultural Interest in 1984. 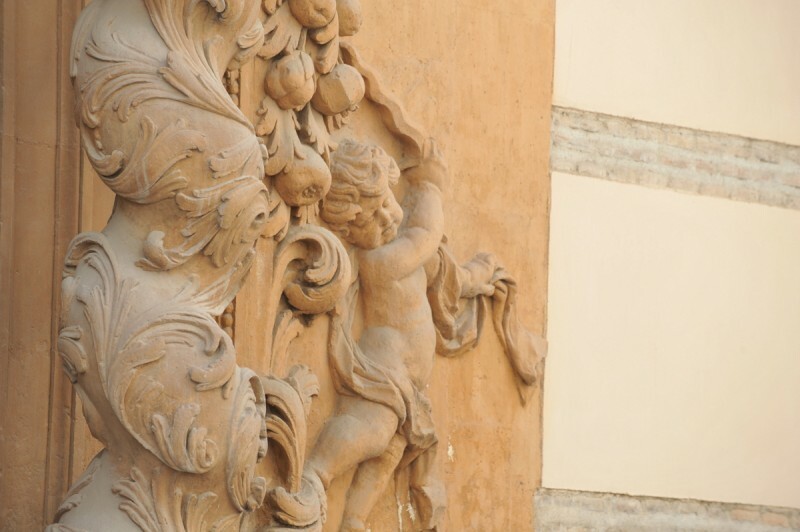 Located on Calle Lope Gisbert alongside many other of the sumptuous residences occupied by the aristocracy of Lorca in the 18th and 19th centuries, it was among the first monuments to be renovated after the earthquakes in May 2011, and partly re-opened to the public in April 2013. The building as it now stands is restored approximately to its original form, with many of the modifications made by the last resident (the Baroness of Petres y Mayals) having been reversed. 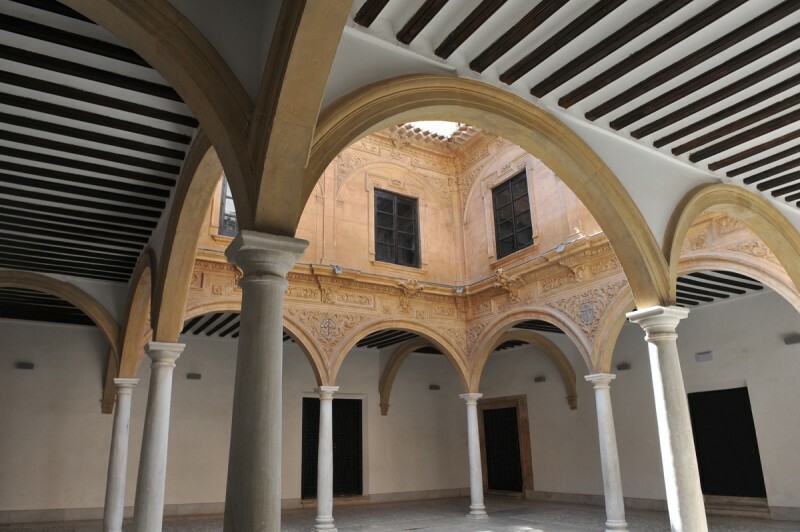 The order to build this impressive palatial residence in Lorca was given in 1689 by Don Juan de Guevara García de Alcaraz, a Knight of the Order of Santiago, and work was completed in 1694. 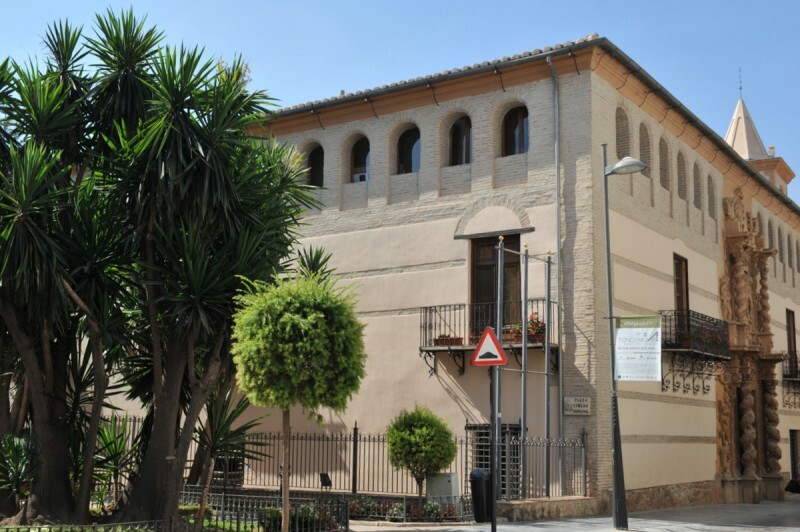 In 1679, Juan Guevara García de Alcaraz married Isabel Pérez de Meca, and over time the need arose for the couple to occupy a home which reflected their social status, for which they chose the area near the Calle Corredera (the main thoroughfare of Lorca in the 17th century). 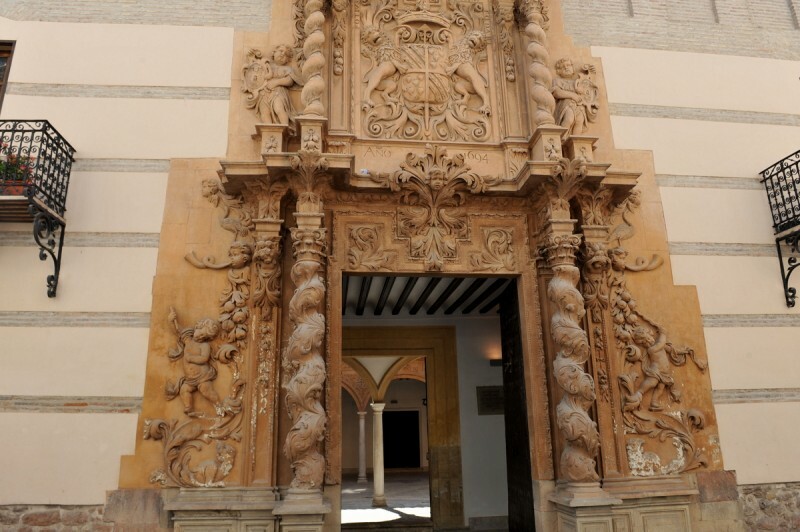 The structure which Don Juan inhabited had originally been built at the behest of his father Gómez García de Guevara, and the main doorway from this previous residence is now at another family home in Calle Juan II, but he decided that a more grandiose building was now required. In October 1689, the year when construction of the current Palacio de Guevara began, Don Juan was named a knight of the military Order of Santiago, and in this role he would later fight in the Wars of Spanish Succession between 1704 and 1714 on the side of the future King Felipe V. While resident in the palace, Juan de Guevara oversaw the decoration of the interior patio, the installation of the grandiose main doorway and the installation of the Guevara coat of arms, borne by two lions, on the façade. 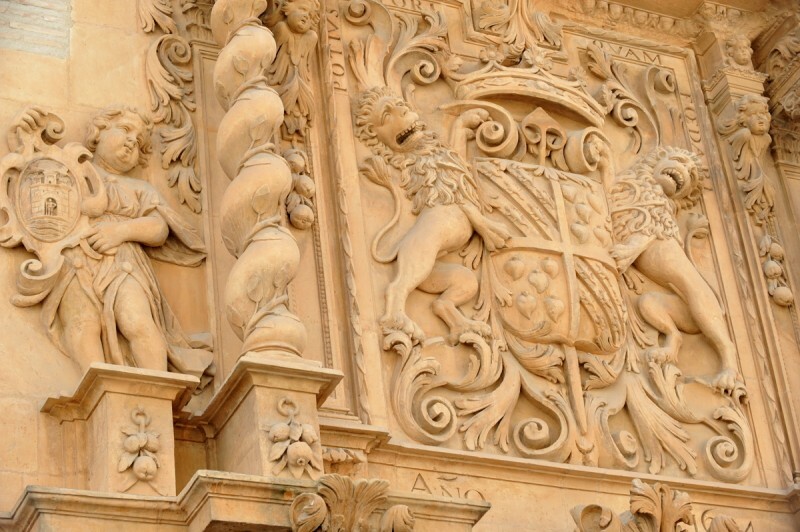 On either side of this main coat of arms are children bearing the insignia of the surnames of Don Juan and Doña Isabel, and at the top of this elaborate piece of stonework is the coat of arms of the Order of Santiago. The four Solomonic columns featured in the tableau are the reason for the palace sometimes being referred to as the Casa de las Columnas. 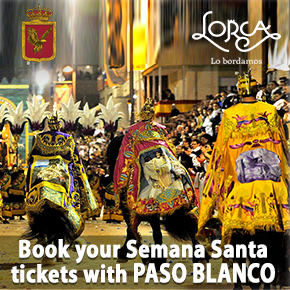 In 1715 the couple’s daughter, Doña Juana, became head of the household alongside her husband Don Juan de Puxmarín y Fajardo, and thereafter it passed down through the generations until Concepción Sandoval Moreno, the Baroness of Petres y Mayals, bequeathed it to the City of Lorca in her will in 1971 prior to the Guevara line being extinguished on her death in 1988. The palace underwent major renovation and redecoration work during the 19th century. 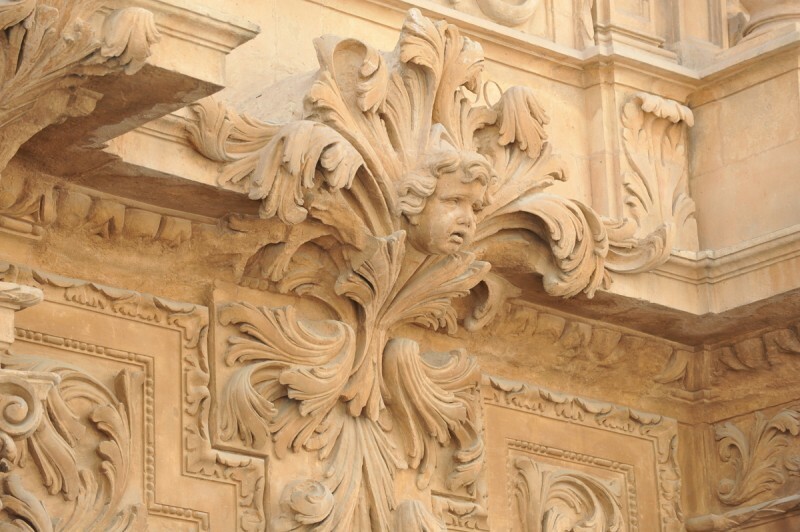 Some sources attribute the design of the building to sculptor and architect Nicolás de Bussy, who was responsible for many works of art which still adorn buildings in the Region of Murcia and the province of Alicante, but others believe that it is the work of local craftsmen in Lorca. The three-storey palace, most of which is built of stone, also has a basement, and on the outside the ornate doorway contrasts starkly with the simple, sober tone of the rest of the building. The two balconies on either side of the main door feature impressive wrought iron work, and there are six other small windows on the top floor. 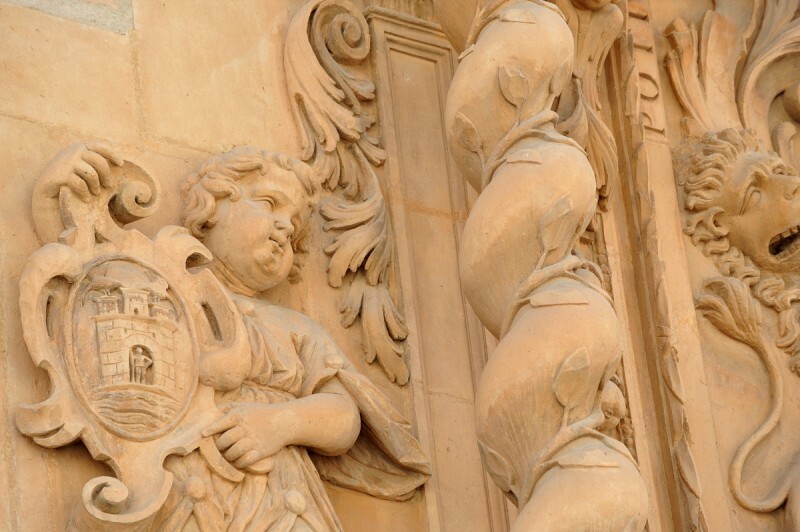 Behind this façade, the living areas are distributed around a central patio, where the eight columns and arches are decorated with stonework by Pedro Sánchez Fortún which again include the heraldry associated with the Guevara and Pérez de Meca surnames. 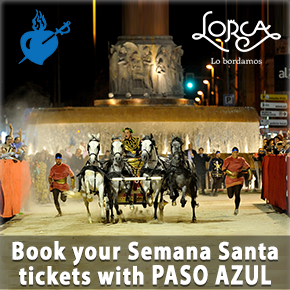 The most impressive rooms are located on the first floor, including the Sala de Camachos, the Sala de los Harmsen and others named after the colour of their decoration (the Salón Amarillo, the Salón Encarnado and the Salón Verde, for example). There is also a private chapel containing an image of the Virgen de la Inmaculada Concepción, and it was here that residents were baptized, married and mourned. 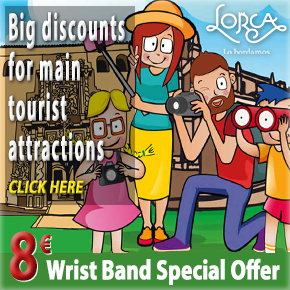 The Guevara dynasty became well established in Lorca in the 12th and 13th centuries, following which they constantly occupied positions of civil and military importance in the city. Among the most notable military actions carried out by the Guevaras were those of Diego López de Guevara in the Battle of La Novia de Serón in 1478 and Diego Mateos de Guevara in the 16th century Wars of the Alpujarras. After the construction of the Palacio Guevara Claudio José de Guevara fought in the Wars of Spanish Succession and reached the rank of Lieutenant Colonel, while his brother Diego held one of the leading judicial posts in the country. 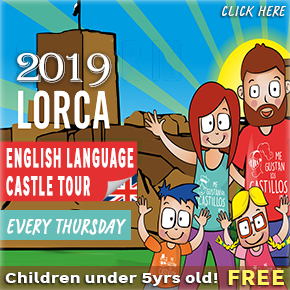 The Guevara palace can be visited via guided tours (contact the tourist office for current schedule or call Lorca taller del Tiempo on 968 479 003). 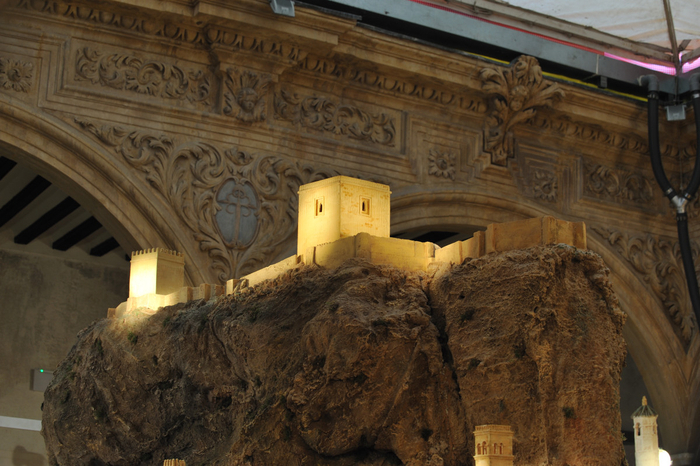 The palace is also used for a number of cultural events and activities, and the courtyard is a popular venue for musical recitals as well as the location of the municipal belén (nativity scene). During 2017 the palace is undergoing the final stages of restoration work following the 2011 earthquake, and will be opening newly refurbished and furnished rooms in the near future.